Join us for a story of solar power, midwinter mornings and Irish dry stout. 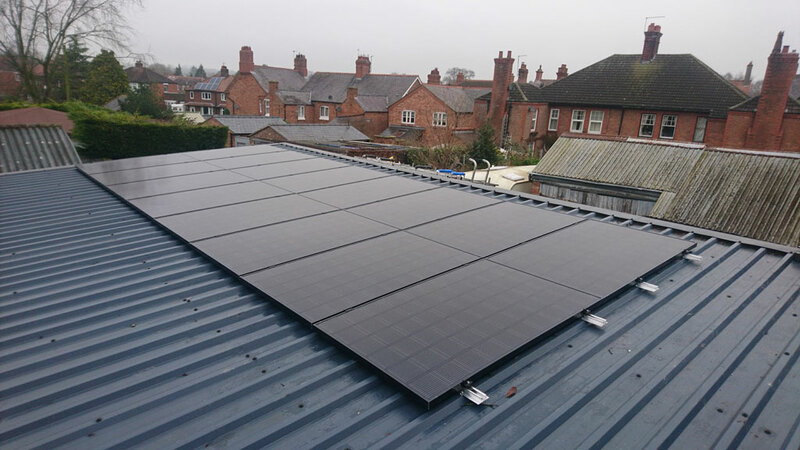 In this project, we installed a complete solar energy system for Mr and Mrs Burgess-Allen in Whitchurch, Shropshire. After they got in touch in December 2017, we visited their home and provided a complete plan for installation, which was then took place on 9 January 2018. 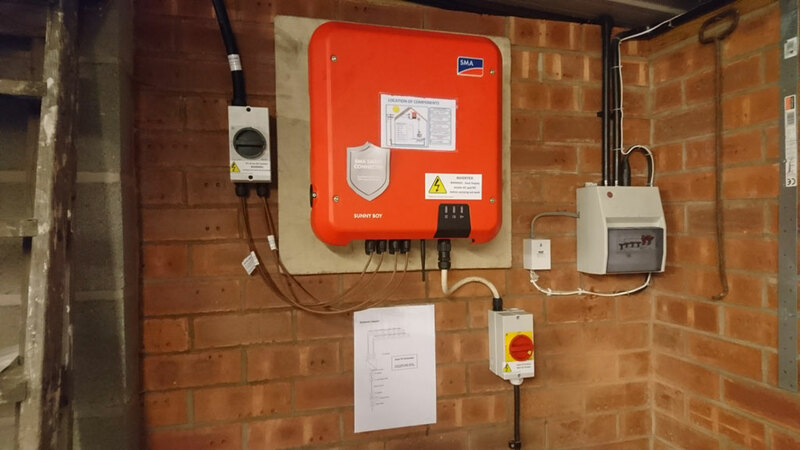 Mr and Mrs Burgess-Allen have a larger property, so we recommended a system with a total output of 5.04kW (most homes will only need a 4kW system). 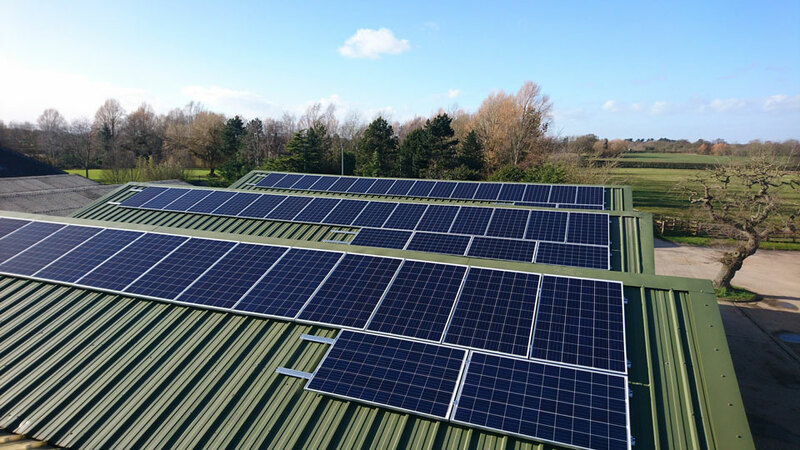 This included 16 315W monocrystalline LG panels, which come with a 25-year performance guarantee, and an SMA Sunny Boy solar inverter, one of the most high-end inverters on the market. 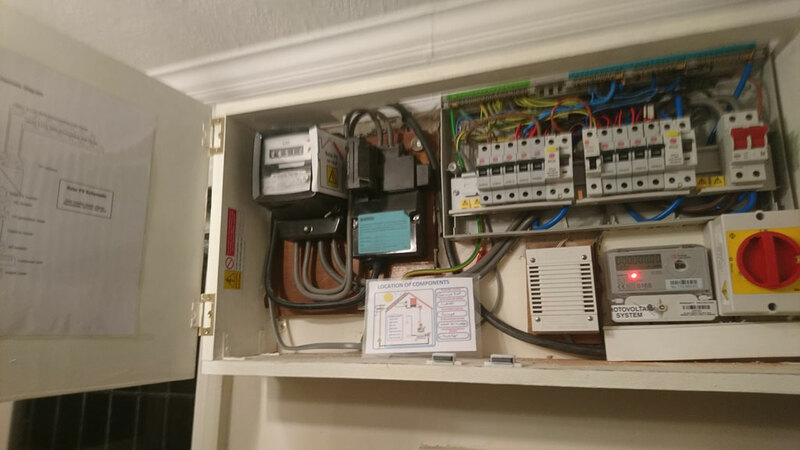 In addition, we installed a solar energy monitor/handset free of charge so that Mr and Mrs Burgess-Allen can track energy generation online in real time. 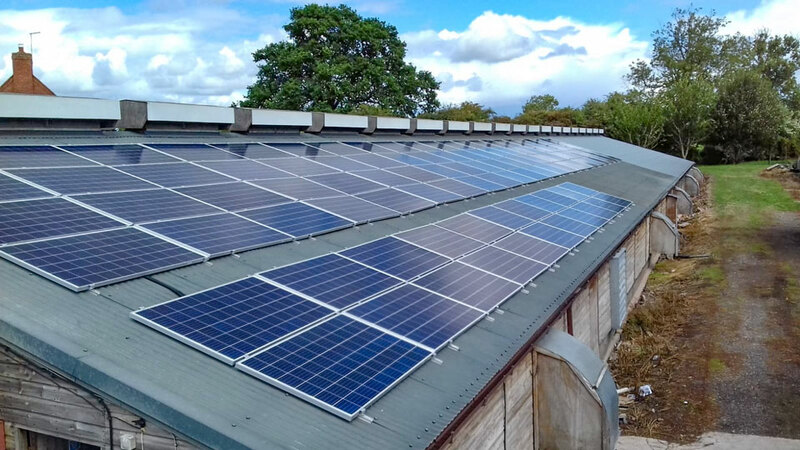 We spoke with the customers to establish their needs and answer their questions about how the system and the feed-in tariff scheme work, including the money they would save (and earn) by generating electricity. A survey was then scheduled at their property for the next day. 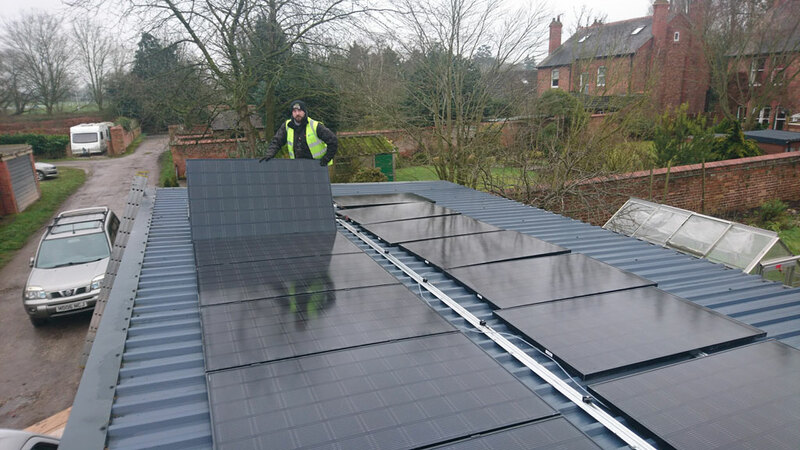 The survey was carried out by Atlantic Renewables company director, Dean Flute, who took measurements to plan the installation, as well as explaining the process to Mr and Mrs Burgess-Allen so that they could make the best choices for their needs. Later that same day, we sent the customers a free payback report and quotation, then spoke to them on the phone to answer their remaining questions. Happy with the plan we laid out, Mr and Mrs Burgess-Allen paid a £100 deposit and we booked the installation date for the New Year. After setting aside suitable time to recover from Christmas dinner, of course. 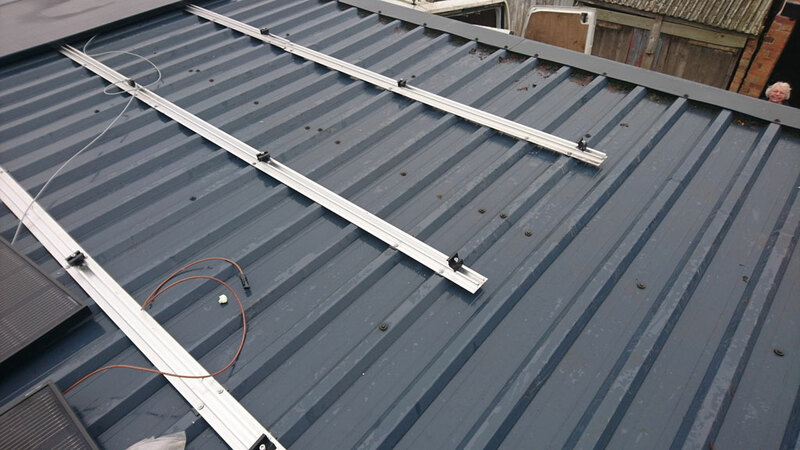 In January, Dean, Phil (our solar roofer) and Chris (solar electrician) braved the cold to start work on the property. Starting at 8am, the system was fully installed by 6pm. While this happened, Dean took the customers through all the necessary paperwork, safety guidance and how all of the equipment involved works. And we must have done a good job, as Mr and Mrs Burgess-Allen were so happy they gave us a crate of Guinness as thanks! We very much appreciated this as we finished up the paperwork (including the 10-year installation warranty). A job well done is its own reward, though, so if you’d like to get a free, no-obligation quote to see how Atlantic Renewables could help you, get in touch today.